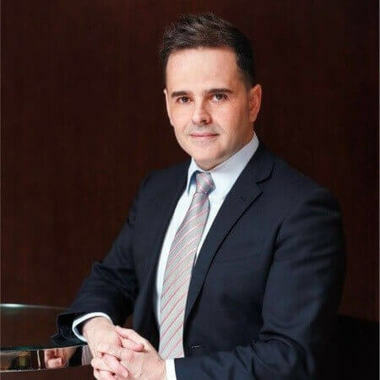 Raul is a strategic business and market development executive with an entrepreneurial attitude and demonstrated international experience in driving business strategy, business development, direct sales, partner programs, ecosystem development and solution innovation for global telecom and software companies. He has multi-cultural background with an international M.B.A and a MSc. in Astrophysics. Now Raul is leading HSBC APAC Business Model Innovation team's development efforts and business strategy in the field of Artificial Intelligence. Building the next generation of conversational interfaces and products (chatbots, robo-advisors, voice-based assistants) using state of the art machine learning techniques (i.e. advanced Deep Learning models like contextual RNN-GANs) and frameworks. Created real and demonstrable innovation in the area of Natural Language Understanding (NLU) and Language Generation with several patents in the making. Bringing advanced conversational interfaces (chatbots) from prototype to full-scale product deployment. Rauls is leading HSBC APAC Business Model Innovation team's development efforts and business strategy in the field of Artificial Intelligence. Building the next generation of conversational interfaces and products (chatbots, robo-advisors, voice-based assistants) using state of the art machine learning techniques (i.e. advanced Deep Learning models like contextual RNN-GANs) and frameworks. He will share his insights on this. Whether we think the future belongs to AI and robots, there is no denying that people are increasingly using messenger apps more than social networks. Facebook Messenger alone has 11,000 chatbots and as a marketer, this is something that can't be ignored. This talk will discuss how marketers are leveraging messaging apps and platforms by using chatbots and conversational AI to market their brand.